5 out of 6 Senators were there to listen. 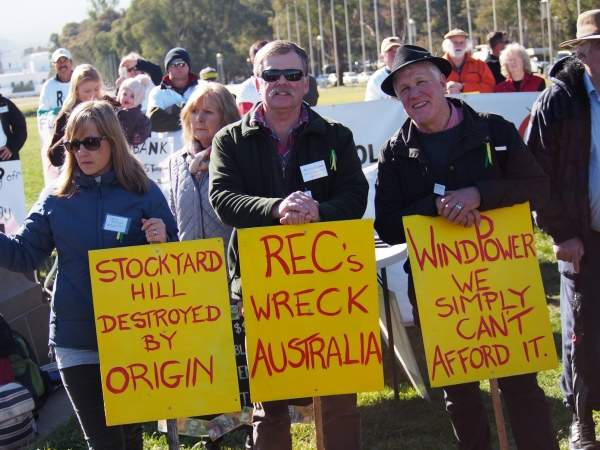 In the last few posts we’ve covered the unravelling of the great wind power fraud, as the Senate Inquiry hit the road at Portland, Victoria on 30 March. While the heat was turned up on Pacific Hydro – the beleaguered wind power outfit responsible for the Cape Bridgewater disaster – the Inquiry also got to hear from victims from there and elsewhere, as well as the leaders of pro-farming and pro-community groups, like Andy Gabb. rally; centre stage, at the Portland hearing. These are the people that the wind industry and its apologists lovingly refer to as “road-kill”, and the former Victorian Premier, Denis Napthine calls “collateral damage” (see our post here). Contrary to to the approach taken by dimwits like Denis, the Senators on the Inquiry (bar wind industry apologist, Anne Urquhaut) actually took the time to listen to what these hard-working rural people had to say. Denis Napthine: smarter than he looks. In the photo below, Senator John Madigan, Bob Day’s adviser, Peter Klomp, Senator Matt Canavan and Senator Bob Day are pictured (Senator David Leyonhjelm is obscured behind Bob Day) at the Cape Bridgewater home of Rikkie and Melissa Ware, on the night before the hearing. That critical little get together was covered in Today Tonight’s ripping report (see our post here). Rikkie gave evidence at the hearing the following day (see below). Sonia Trist, Melissa Ware, Brian and Jo Kermond – all subjects of Steven Cooper’s groundbreaking study – gave evidence in camera (in private) late that day. That group was joined by victims from AGL’s Macarthur and Glenthompson disasters, like Peter and Ron Gelbart and Adrian Lyon. Inquiry Chair, John Madigan, Peter Klomp, Matt Canavan & Bob Day: there’s a reason that ears outnumber mouths, it’s called ‘listening’. To say that what the Senators heard had an impact, is pure understatement: for many on the Committee with no knowledge or exposure to the wholly unnecessary suffering of wind farm neighbours, it was a watershed. Here’s some of the evidence that’s helped turn the tide. 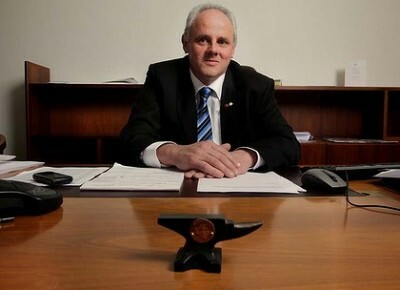 John Madigan: in the Chair. CHAIR: We now have an opportunity for the nine people listed to give a short statement to the committee. This session will run for 30 minutes and there will be a strict three-minute time limit on the statements. I remind all present here today that in giving evidence to a parliamentary committee witnesses are protected by parliamentary privilege. It is a contempt of the Senate for a witness to be threatened or disadvantaged on the basis of their evidence to a parliamentary committee. David and Alida Mortimer: knock the ‘nocebo’ nonsense for six. Mr Mortimer: My name is David Mortimer. I am a wind turbine host—or I was, until a couple of months ago. My wife and I have been hosting turbines for the last 10 years. For the first eight years of that 10 years we both suffered the effects of classic wind turbine syndrome conditions. I am sorry—I had a fade. Senator BACK: Mr Mortimer, are you the person who worked in the Royal Australian Navy? Mr Mortimer: Yes, and the sort of situation I am in now is becoming more and more frequent. I get lost in the middle of a sentence. The stupid thing about it is that when we go away from wind farms—and we have to be at least 35 kilometres away—we have absolutely none of the problems. When we came across here for this meeting, two nights ago, we stopped at Dartmoor on the way across. We thought it was going to be lovely and quiet. It is about 40 or 50 kilometres from here, and we had exactly the same problems that we get at home: the low, drumming, pulsing sensation. We can go 70 kilometres up the coast to Robe and we sleep peacefully next to the ocean. We can go to Piccaninnie Ponds down near Nelson and we sleep absolutely peacefully. If we go anywhere in between that, 35 kilometres and less, and we are stuck with the problems of not being able to get to sleep and then waking up in the middle of the night in a blind panic because of the noise. It gets me particularly that way; my wife does not. It took her four years before she was affected. We consulted our doctors. The doctor could find absolutely nothing wrong with us. This was all before we heard of Waubra Foundation, nocebo had not been invented yet and wind turbine syndrome was an unknown thing. Senator LEYONHJELM: What happened a few months ago? You have moved, have you? Mr Mortimer: No, we have not moved. Senator LEYONHJELM: What happened a few months ago? Mr Mortimer: A few months ago we sold our farm. The people who bought the farm had been living there for four years—rent free, but that was a choice of ours—and we had built our own farm about five kilometres from the farm, because we could still manage the farm. We thought that at five kilometres away we would be absolutely safe. We were not. In fact, it got worse. CHAIR: Mr Mortimer, for the Hansard record, whereabouts are you? Mr Mortimer: We are at Lake Bonney wind farm in Millicent, down the bottom of South Australia. Mr P Jelbart: I am the son of Ron and Chris Jelbart. They have a farm on the east of the Macarthur wind farm. I have been lucky enough to work away for the majority of the time over the last few years. I have not lived at home since I was probably 19. While I was working in Western Australia I used to do three weeks on, one week off and come home for a week. Over in Western Australia I was sleeping at times on the sides of busy highways and in the back of trucks with ice packs running. If it was not with an ice pack on a truck it was in an air-conditioned room. It used to vary, in industrialised situations up there. In Wedgefield, you could hear trains going through in the night-time and scrap-metal ships getting loaded. Down at Newman you could walk outside the house and hear them draining the mines at Mount Whaleback and Orbody 24, not far from Newman. They are within five kays. I would sleep fine up there. At home, I noticed pretty much from day one that there is a serious problem there. Something is completely different when sleeping. I would wake up after a couple of hours of sleep—at times, not even after a couple of hours—and have disrupted sleep that I have had nowhere else. There is a proper problem. We are being told it is the ‘nocebo effect’ and whatever else—that is in your head, that it is a problem because you are jealous, uptight or worried or whatever. It is simply a problem with something that goes on when you are near the wind farm. Whether it is low-frequency noise and the infrasound combining with it, it seems worse when it is quiet. Around our house the yard is pretty well protected by trees. When it is relatively quiet around the house yard there is still a really soft drone that comes through and just gets into you. It is pretty hard to explain. There are probably a lot of people going through the same thing who will have the same trouble trying to explain it, especially to people who have not experienced it. The problem with it is, it also seems to affect different people over different periods of time. Senator BACK: How long after you go back to the west does the sensation disappear? Mr P Jelbart: When I stay at home for a few nights and then go to Hamilton I will suffer tinnitus and have a bit of a ringing in the ear. Generally, I sleep well as soon as I get away from it. I am happy to leave it at that. I think I have said enough. Ron Jelbart: with pointed mobile statement. In hindsight we should have cashed in the minute the wind farm was mentioned. The effects from the emissions from the wind farm—the noise, and I do not know whether it is low frequency, infrasound or whatever—is damning when it gets into your house and into you. It is considerably worse than we ever imagined. While everyone talks about how good they are, I am probably not allowed to ask in summing up: is Hamish Officer building close to Hamilton and will soon be moving away from the wind farm? I cannot ask that, can I? CHAIR: We will take that as a comment. Mr Lyon: I am Adrian Lyon from Glenthompson. That is where Oaklands Hill wind farm owned by AGL is. I decided to step up and talk about testing for low-frequency noise. Yes, we have had a lot of testing done in and around our house. The low-frequency was put as ‘for special characteristics’ on a lot of the data in the reports. As per the submission I put in, I think I explained in quite simple terms why if the report does not find something that is obvious there has to be something wrong with the report. I hope you have read my submission. Back to the testing: we were the only house that this testing was done in but the turbines were turned off on the other side of the wind farm. The main beneficiaries as I can see—the closest people to the turbines which were turned off—were the hosts. There were people I believe that complained that were double the distance we were from it. I think that sort of smacks at us. We rented quite quickly a house off farm because of the impact. We have all been impacted by it in the long run. It is a bit like everything you have been told. I do have most of the data of their recording, including the initial data I got sort of for approval. I do not believe our wind farm is compliant if you use that data but, as AGL said, they are not compliant if they use the original data even when the wind turbines are turned off. That just highlights how much Australian background sound changes and you can manipulate that by taking measurements at a particular time of the year—for example, springtime when it is noisy. They made the mistake in our time of doing it in 2006 when it was a very dry year and there were not frogs and crickets, so they had to get indicative measurements to be compliant now. Back to the testing of the special low-frequency, which is obviously what the problem is, I have a lot of data but I have not got anything in that on short-term. You will notice in the report that their machines recorded short-term data over near Bill’s shed, so one wonders whether it was available—a bit like the sort of matching of the data to the environmental conditions. Mr McMahon: I am John Michael McMahon. I am President of Wind Industry Reform Victoria, and we are a voluntary body incorporated in January this year. We are hoping to reform regulations governing industrial wind turbines. We are not against turbines per se, but we are against having large turbines near people. Today the actual need for this Senate select committee was questioned; however, there are two game-changing things which have recently reared their heads. No. 1 is the ground-breaking report by Steve Cooper, and No. 2 is the imminent arrival of megaturbines. To put things into perspective, Cape Bridgewater turbines have caused significant problems, as we have heard—they are 2.2 megawatts. Challicum Hills, which you have heard a lot about today and which are near Ararat, are much smaller than that. Macarthur’s turbines are three megawatts and 140 metres high and equivalent to 40 storeys; the Bulgana project near Great Western, which was approved last week, has four megawatt turbines, is 196 metres high and equivalent to 60 storeys. The blade sweep area for each of them would be greater than the playing area of the MCG. I do not think people understand the scale involved in what is coming—it has been bad enough already, but what is coming is a lot worse. There are more than 1,300 new turbines already proposed for western Victoria alone. The state planning amendment VC113 effectively removes size limitations on these turbines, so they could be larger than 60 storeys. The risks are enormous already, but they will increase dramatically as turbine size increases. They are a great health risk, as mentioned; they are also great risks for economic devastation across rural Victoria. Property devaluation will not only affect neighbours but also the total shire rate base and will undermine the economic model for governing rural Victoria in those areas with turbines. If all the planned turbines are built and are 200 metres or more in size, tens of thousands of rural Victorians will be significantly and adversely affected. For all this risk there is so little control. There is no independent body effectively monitoring noise regulations in Victoria. The EPA are not allowed to do it—they are not even allowed to monitor today’s simple audible noise-only regulations. Pac Hydro stated that it was compliant with current audible noise regulations; however, in a recently published Warrnambool Standard article, it acknowledged and finally acted upon a loud, screeching faulty turbine which neighbours had been complaining about for a year or more. If we are to have more turbines in rural Australia, then let’s have reasonable checks and balances: firstly, independent monitoring of regulations; and, secondly, improved regulations to include sound. Let’s have a little common sense. If less electricity is required at night and people have trouble sleeping, then turn the darn things off at night. Mr Gabb: My name is Andrew Charles Gabb, and I am a past president of the Stockyard Hill Community Guardians in western Victoria. I have been involved in this industry for eight years and I have attended three panel hearings and one in-house hearing at the Victorian planning department. I am a farmer and I am a retired company director of a manufacturing business that employed 120 staff and worked seven days a week, 24 hours a day. My experience of the wind industry is not pleasant—I use words like ‘deceitful’, ‘obfuscate’ and ‘complicit’. I will give you some examples. I have seen a turbine landholder, whose property is recognised in western Victoria as containing native grassland and five brolga nesting sites, sit for two days and say nothing whilst his representatives distorted evidence to further enhance his project. Nest sites were removed from records; native grasses were not mentioned or offset; brolga setbacks of two to three kilometres—as per the guidelines to protect brolgas from these turbines—were downgraded by the so-called expert to less than 400 metres. Creek lines were all but removed from the overheads, and swamps were ignored. I sat there and listened to my brother-in-law and the property I used to manage be desecrated. I have seen a wind farm built without its permit having been fully met, and the Pyrenees Shire endorsed it. I refer to the same wind farm. I have observed a key witness from the Australian Trust for Nature lent on at lunchtime to withdraw her submission at this hearing—a submission which would have protected the brolga on the Chepstowe Wind Farm. I have seen photomontages manipulated out of scale and proven to be so. I have seen sound logging equipment placed in non-compliant positions to distract background noise, therefore making it invalid to protect the occupant, in favour of the developer. I am aware of one council in our shire who manages the community fund at a wind farm. I have seen the Victorian state government allow turbine capacity to be increased and turbine tower height to be increased further, without further noise monitoring or planning being required. Yet we have a six-week hearing to expose all this. 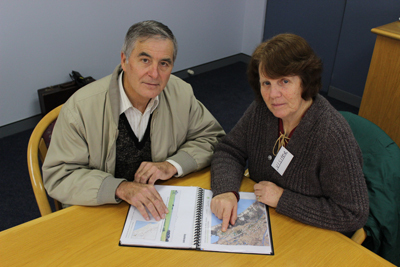 I have observed landholders sign in secret and non-community consultation prior to contracts. I have observed contracts with indemnity clauses. I have witnessed a 90 to one vote against a wind farm project in our shire, only to have it approved by the shire. The industry promotes itself by large donations to community funds. They buy the populace. 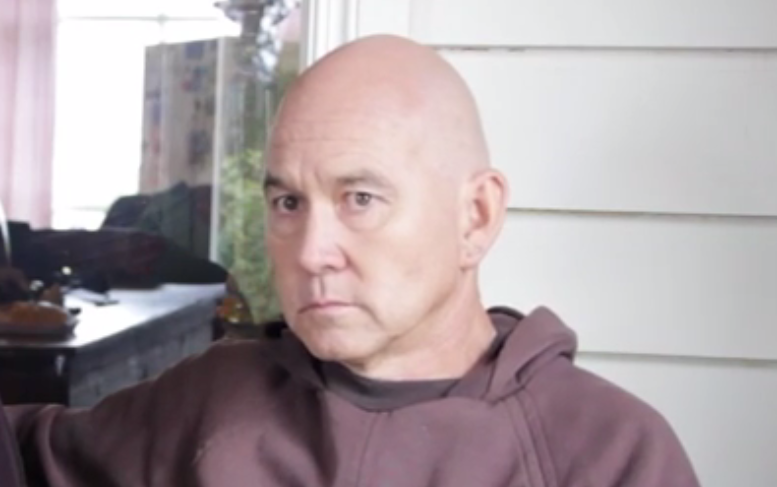 It is clearly evident that the New Zealand standard is not protecting rural residents. It is now obsolete. Ms Dennis: I am a farmer and conservationist. Wind turbines are huge industrial machines. A 747 jumbo jet can fit into the rotor-swept area. Imagine it twirling around, with speeds of 300 kilometres an hour at the tips. Wind turbines are definitely not green. Wind turbines kill birds and displace brolga, and the poor little bats suffer barotrauma—that is, their lungs explode. The Macarthur international wind energy facility bird utilisation study shows that approximate 10 birds per turbine per year were killed by turbines, and 33 per cent of these deaths were raptors, including wedgies and the rare brown falcon. The top raptors are absolutely vital to maintain biodiversity. These estimates are considered a great underestimation, as scavenger trials showed most bird carcasses disappeared in under a week and they were only doing a monthly gathering of carcasses. The author of this research has recommended that AGL increase the bird carcass searches to weekly to get a truer picture of actual kill rates. Of the 65 bird carcasses actually found at Macarthur, 23 per cent were unidentified. Who knows or cares what they were? There were six bat remains found, of three different species. It is a wonder any remains at all were found after they had died a horrible death when their lungs exploded. If my sheep’s lungs exploded, I would be on Four Corners and probably end up in jail due to animal cruelty. Bats eat insects. Do we really want to increase our use of insecticides? Brolgas are displaced by wind turbines. The Laura Navarrete research in the US has shown that sandhill cranes, which are a very similar size to brolga, are displaced out to eight kilometres from wind turbines. Similar work at Macarthur shows displacement to at least five kilometres. This consequently causes overcrowding in the next distance out, leading to stress. There should be a moratorium on all wind farm permits across south-west Victoria until the south-west brolga project is completed. This project was specifically designed to inform wind farm planners and involves putting radio transmitters on brolga to track their flight patterns. It has just never, ever been finished. Currently, by the way, there are only 464 brolgas in Victoria. So far neither the environment or planning departments of the Victorian government will take responsibility for the protection of the brolga. Each is saying, ‘Thank you, Ms Dennis, but this is not our concern.’ Someone, somewhere has to take responsibility for our bird life before we lose it all. Rikkie Nicholson: some of Pac Hydro’s “collateral damage”. Mr Nicholson: I am a Cape Bridgewater Pacific Hydro wind factory refugee. I am an electrician and proud 30-year union member. I initially supported wind power. Unions look after workers’ OH&S issues, like the met rail workers being exposed to infrasound at their workplace next to the Laverton gas fired power station. Unlike them, Australian families have no protection. Infrasound is insidious and extremely harmful to health. You six senators have a chance to make our home liveable again. I stand up and speak today for the many Portland residents who are not willing or able to stand up and be heard. Portland will be the ground zero for this industrial complex. The effects are horrific and disturbing. While travelling to Geelong each week, I would complete a sudoku puzzle. Later at home, that same puzzle took considerably longer or could not even be completed. During the shutdown test Mr Steven Cooper completed, I was able to achieve many little jobs such as extra screws in doorhandles, tap washers, lubrication of door hinges, filling mouse bait stations and throwing a ball with my son—simple tasks, I know, but physically impossible to do when this industrial complex is operating. The fact I could mow the lawns and do the edges as well surprised me. I could actually bend over and not feel sick to pick up the clippings. Cooking and washing became almost impossible—not for me, as was pointed out to me. During the shutdown, an incident happened and my wife and son looked at each other and laughed uncontrollably. The reason this is so significant is that we all knew this same situation would normally end in an argument when the turbines were operating. Our kelpie needed to be lifted into our station wagon but, when on holidays, could jump into my four-wheel drive after being only a week away from the turbines. This wind factory has decimated the liveability of our home, our health, our family life and our future. On medical advice, my wife has been told by the bank that our home is virtually unsellable. What are we to do? Who will protect my family, because I cannot? Who is going to put an end to Australian families suffering from this unregulated industrial source of infrasound and low-frequency noise? All it takes is to properly regulate the noise pollution and protect people from harm is to locate these wind turbines at least 15, maybe 20, kilometres away from people and animals and increase the distance as the power-generating capacity and size of turbines increases. A royal commission is needed now. I would also like to add—I have made some notes—no-one from the acoustic community has condemned Steven Cooper’s report. I put out a statement: do their absent turbine hosts also need to sign an indemnity clause? Thank you. Mr Saunders: My name is Steven Saunders. My family, the Mitchell and Saunders family, are traditional owners of Cape Bridgewater. We feel that our traditional rights, laws and customs have been violated throughout this Portland wind turbine process. The cultural heritage side of things was never put in from our family. We did not agree with the wind turbines, so we did not sign off on any of the process. Our stories were interfered with. 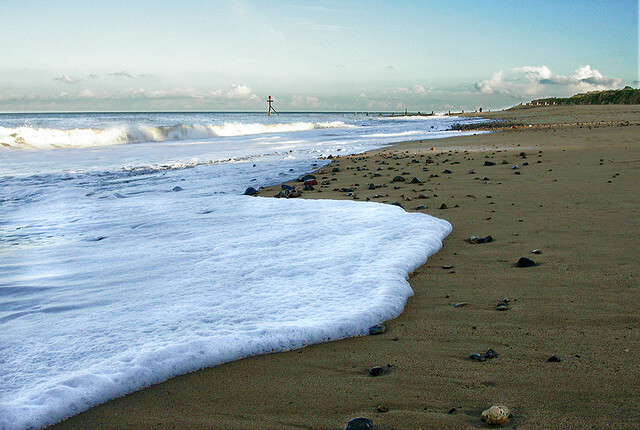 We have sacred dreaming stories along the coastline here. One of them is one of only a few traditional dreaming stories that connects all the tribes in Australia. None of those stories were documented through the whole cultural protocol of the wind farm project. It wasn’t put in any reports, and our cultural heritage sites were destroyed. Eye witnesses to that include me and my family. When we spoke up about it, we were simply shut down. The whole process that was set up was supposed to protect the traditional owners—that comes under federal law. Under the Native Title Act, we were supposed to be protected at Cape Bridgewater. It was failed—failed by the process that was fast-tracked through. When we reported incidents such as our cultural sites being disturbed, we were simply kicked offsite. Throughout the whole process, we have spent years trying to go through the proper process but we haven’t even been considered. In our native title determination, there is a process that the federal government has to intervene if such things happen. This process hasn’t even got past the first hurdle. We have gone back for years and years and we keep telling the same story: our sites have been destroyed, our dreaming stories have been disturbed, and nothing has been done about it so far. We have been persistent in defending it. Senator URQUHART: I have a very quick question to Mr Gabb. Mr Gabb, you talked about observations a lot. Do you have studies of documentation or some proof that you can provide to the committee on your observations, or are they merely observations? Just a yes or no is fine. Mr Gabb: They are my observations over eight years, but I could write words to that effect to the committee. Senator URQUHART: I think you have put that on Hansard. I was just interested to see whether you had documents. Mr Gabb: Are you referring specifically to the brolga situation that I referred to? Senator URQUHART: I think you used the word ‘observe’ throughout your address, and I just wondered whether you had documentation or studies attached to that or whether it was your observation. Mr Gabb: I have got something that I could forward on, yes. Senator URQUHART: If you could provide that to the committee, that would be useful. Senator URQUHART: Ms Dennis, you talked particularly about the bats and the raptors. Again, do you have some evidence in terms of studies or whatever that you are able to provide to the committee? Ms Dennis: I believe that Mr Cummings said earlier in the day that he had forwarded the Macarthur wind energy bird utilisation study. I have mentioned the south-west brolga project and those ones in the Brolga Recovery Group submission, which you already have. Senator URQUHART: So we have got them, great. Thank you very much. CHAIR: Thank you, ladies and gentlemen, for your submissions today. We will now move to the in camera session. Portland, Victoria, 30 March 2015: the day the tide turned. Waubra wind farm is not a confirmed criminal act of sabotage. I doubt this was criminal action. Farmers are well within their rights to legally fire weapons on their land. Wind operators are renting farming land; operating the wind industry and creating a large spread electricity manufacturing plant in agricultural zones just doesn’t and shouldn’t mix. Does anyone know if anything was actually hit, was it a farmer or turbine host ridding himself of vermin? 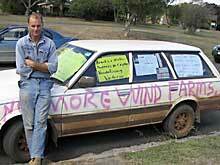 Are the Waubra wind farm operators looking for a scapegoat? Have the Police finished their investigation and issued a Media Statement yet? If it is sabotage of any kind anybody could trespass onto farming properties cause havoc and blame the locals. The arson as mentioned above at Morwell just goes to show that any kind of dispute, bitter or otherwise, must be resolved through positive steps at resolution which those of us living near turbines have just never received. We don’t have Unions or Government Departments representing us or fighting for us on our behalf. Yet, we’re not a bitter bunch. We turbine neighbours joke about serious issues which I think is a great Aussie, country-spirited technique for survival or putting things into perspective. We’re people pushed beyond limits of endurance for years on end by noise, recognised as a form of a torture. If in a moment of desperation, someone loaded a firearm, shot at turbine, then I say to any fellow suffers there are people to network with and to talk to in these dire moments that we know from personal experiences and can relate to what you are going through. It was a double meaning – referring also to the calibre of the people doing the shooting i.e. it doesn’t say much for their ethics in that they are as criminal as the wind weasels. Perhaps my sense of humour is a little vague at times. It looks like PM Tony Abbott will have to provide money to build more jails to house the multitude of lying windweasel grubs before this is all finished. Talk about corruption, it is all there, big time. Thanks STT for helping to expose the harm that these giant instruments of torture inflict on people the world wide. The picture painted during the public input three minute sessions at the end of the open segment of the Senate hearing was gruesome enough but there was another story going on that few were aware of. I can only speak for Alida and I as I have no idea what others may have been sensing. Let me paint a picture up to and including tonight. Since Lake Bonney 1 wind farm commenced operation in 2004 and up to the present, both Alida and I have been assaulted day and night by the low frequency and infra sound (ILFN) energy being pumped out in significant quantities by the giant industrial scale wind turbines which for the first two years were as close as 520 metres from our home. Goodness only knows what it has been doing to our psychological, and physical well being. Do we look unhealthy as a result? I don’t think so, but that would be largely due to the fact that both Alida and I have lived and continue to live active healthy lives with a healthy diet. Then again, a sea sick person also doesn’t necessarily look sick but we happily accept their claim to their malady. We retired from farming and a “backyard” fibre glassing business about 4 years ago which meant that although we still lead active lives, we do tend to spend a little more time indoors than we previously spent. As a result, the assault by the low frequency and infra sound has increased somewhat. We found out about 2012 that if we left the district for periods of time our symptoms and sensations associated with ILFN vanished only to return when we were back amid turbines again. In order to maintain some degree of physical well being, we have to go at least 40km+ away from turbines at least once per fortnight for a few days (preferably two days per week) to have some restful sound sleep. The month prior to the Senate hearing in Portland, I was required for jury service and could not get away for our weekly respite. During this time, the wind blew much of the time from the South East which placed our home directly down wind from the wind farm. Experience has shown us that this is the worst possible wind direction and frequently causes me to suffer nocturnal panic attacks. Not a pleasant experience and something over which I appear to have no control. In view of the fact that we had missed out on our regular respite, we decided to spend the first night of our journey to Portland at Dartmoor. It is a sleepy peaceful place and we had expected to have a sound sleep. The town is around 40km from Cape Bridgwater wind turbines. When we went to bed, we could both feel the same pulsing/rumbling sensation as we do at home. Coincidence? Maybe, but I don’t think so. The sensation was enough to make it difficult to get to sleep and maintain a sound sleep. So, next day we had still had no respite. That night, we spent at the home of Sonia and Crispin Trist, about 500 metres from the Cape Bridgewater wind turbines. Once again, the wind blew almost directly from the turbines to our bed. Once again, little and poor quality sleep. By now, we are both just about shattered. Next day was the Senate hearing in the Portland TAFE. I was immediately aware of the presence of strong pulsing sensations both inside the room and out in the courtyard. Alida also experienced the same sensations but with strong apparent heart palpitations, acute dizziness and nausea. She lasted an hour of the hearing and had to get out of the room, in the process nearly falling into the passage plate glass window. I felt slight dizziness and nausea. When it came to my three minutes to address the panel, I opened my mouth to speak but my voice sounded to me to be distant and disconnected and I froze in panic. I thank Senator Back (I think it was) for trying to pull me out of it and was successful to a degree. I consider myself blessed with a goodly dose of self control but in that instant, I had absolutely none. Usually I have no problems talking to any size audience about our wind farm experiences in fact often have to be told to shut up. I didn’t look sick but I am convinced that it was the cumulative exposure to the ILFN over the previous month that had that effect on me. I certainly would not wish it upon anyone (except wind weasels and their apologists). I also noted that as we were leaving the hearing , the wind was blowing from the turbines in Portland directly at the building in which the hearing was held. Immediately after the hearing, Alida and I spent a week on an egg farm just out of Bendigo and slept the sleep of the dead each night. In a week, we will be going away for about three weeks. It can’t come soon enough. This regular respite does come at a cost – it is eating into our retirement funds to come and visit our home that we built to live in not just to occasionally mow the lawns. What is this ILFN doing to us? I don’t know but I don’t apologise for my performance at the Senate hearing for that is a story that must be told. These turbines will affect more and more people and if they can take away my self control one has to wonder what it is capable of making a lesser disciplined person do. Tonight, there is little or no wind once again from the SE. The turbines are producing their usual pulsing/rumbling. I know what kind of night we are going to have and I dread it. Twice during the night I awoke in panic. Both times I could sense the pulsing/drumming/rumbling sound and the bit people don’t understand is that there was little or no wind. Certainly, our little 500 watt unit remained motionless. Apparently people have been taking pot shots at the Waubra wind farm turbines with light firearms. I wonder what the perpetrators are doing wrong?? Perhaps the calibre? Joke about it David by all means but I’m sure criminal acts of sabotage such as the alleged recent shooting at wind turbines at Waubra will not be condoned by law abiding folk, even those who are so badly affected by turbine noise. This kind of action is no better than criminal actions in recent years against the coal power stations in the Latrobe Valley. Police attributed a fire in 2013 at the Yallourn coal fired power station to arson/sabotage. That fire occurred just 30 minutes after a flare-up in a bitter industrial dispute involving the power plant owner and the CFMEU. Police believe the fire at the Morwell open cut coal mine in February, 2014 began when someone in a vehicle lit fires at three locations near the mine within the space of 15 minutes. The temperature in the area on that day reached a maximum of 41 deg C and wind gusts of up to 76 km/h were recorded, obviously a day of extreme fire risk.